This luxurious handmade card would make a very special wedding card, anniversary card or engagement card for a much loved couple or for your husband or wife. A lovely keepsake to cherish for years to come. Featuring a satin ribbon bow with a dazzling crystal embellishment studded with a tiny sparkling Swarovski crystals. We can print a message of your choice on the front - whether that be the couples names and wedding date, 'happy anniversary', 'congratulations on your engagement' or anything else you wish. :: option to upgrade to a ribbon tied presentation box. So pleased with how this card turned out! Excellent quality and service. 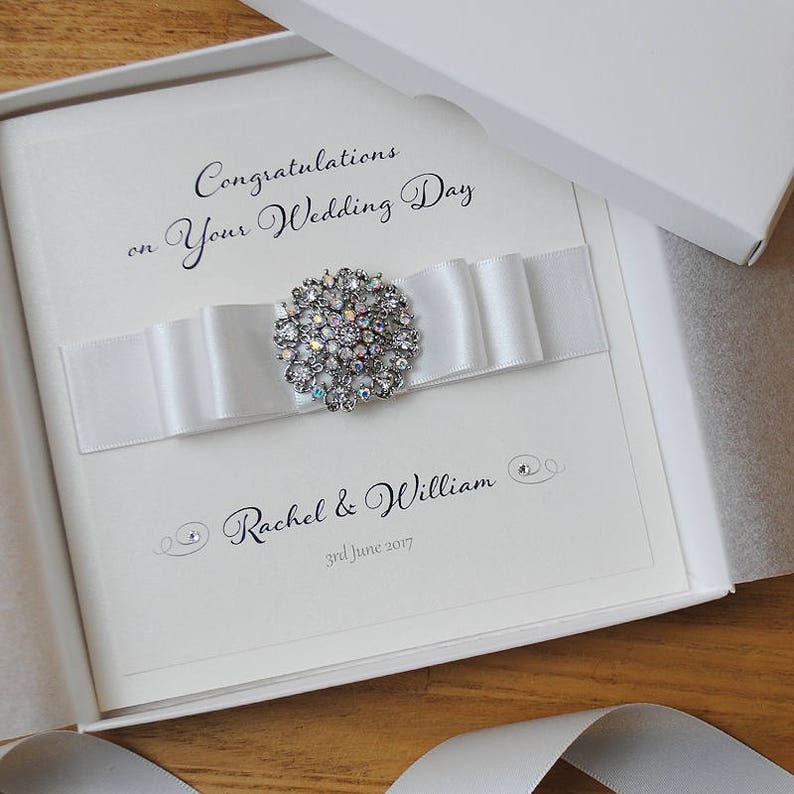 A personalised card that looks absolutely gorgeous in the ribboned box. Can highly recommend this for special occasions. I've bought mine for my daughter and future son-in-law. It arrived well wrapped and on time.